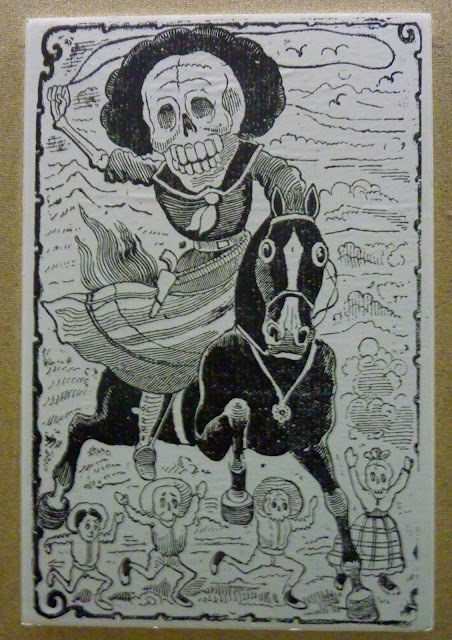 During this past weekend, "La Calaca/The Death" payed a visit to the Seattle Center. Many of you probably know that during November 1st and 2nd, in Mexico we celebrate El Día de los Muertos/The Day of the Death, and although these dates are celebrated in many different ways depending on the region or state, I believe the Seattle Center has done a good job at capturing the essence of these festivities. 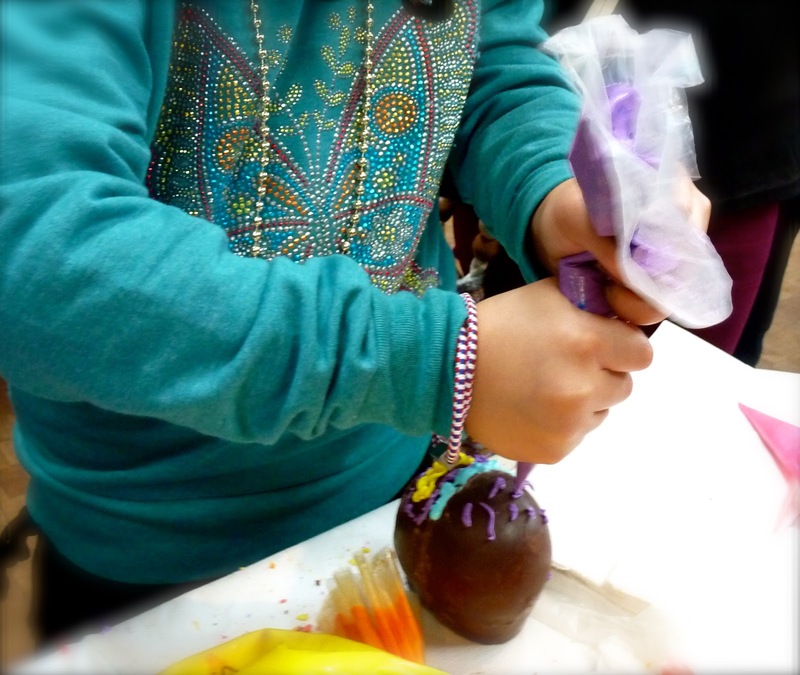 You could buy a decorated chocolate skull or you could decorate your own. Of course we chose to decorate our own. Pan de Muerto/Bread of the Death ready to eat it with hot chocolate! "Altares/Altars." We set them up with pictures of our deceased, their favorite food, and drinks because we believe they will come to visit in the middle of the night looking for them. 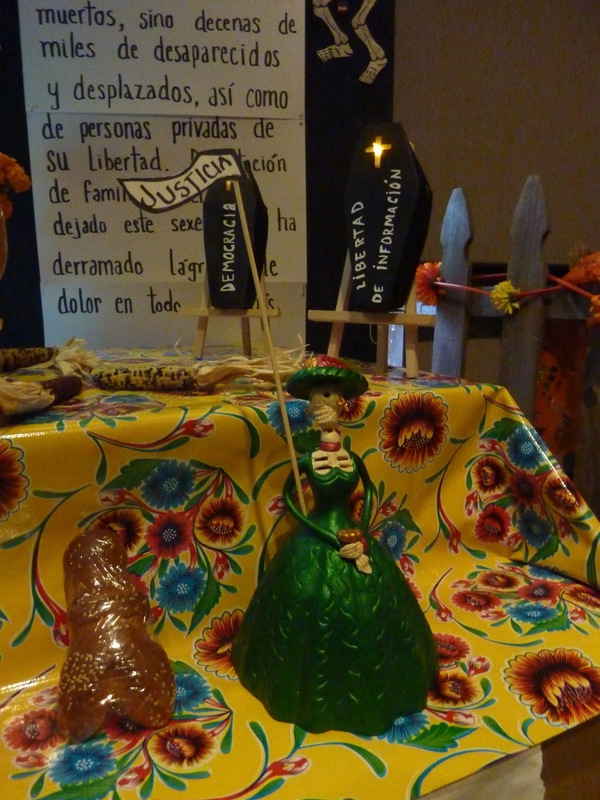 This is an example of how an altar is set up at the cementery. Lots of food, candles, and "papel picado." We also like to mock the death during these days. Many dance, and music groups showcased the beauty of our culture. 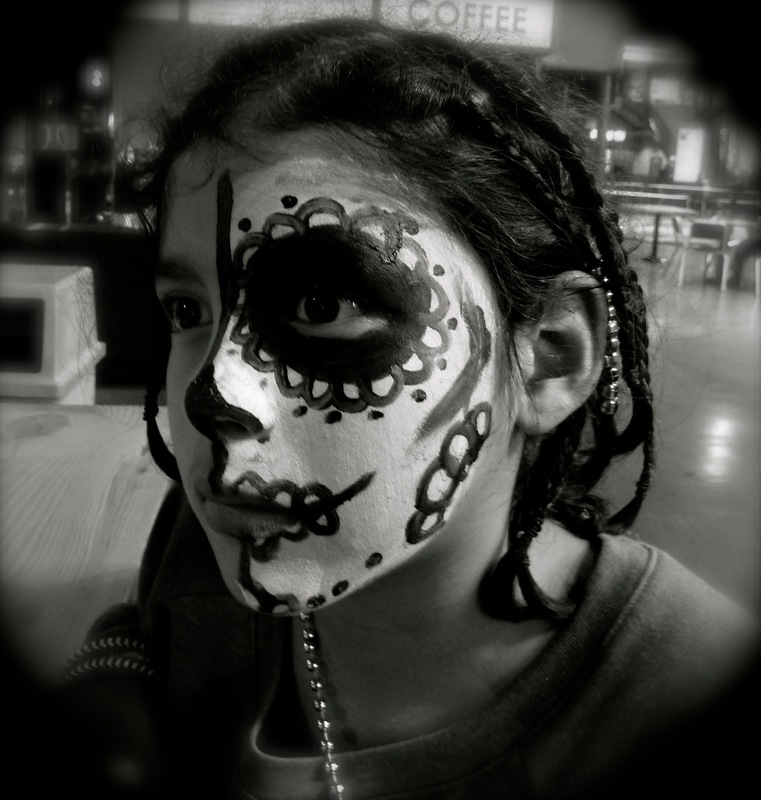 Face painting as "La Calaca" has to be part of this tradition too. Cuban Zombies are Coming to Seattle!